← How do the astrological Houses work? 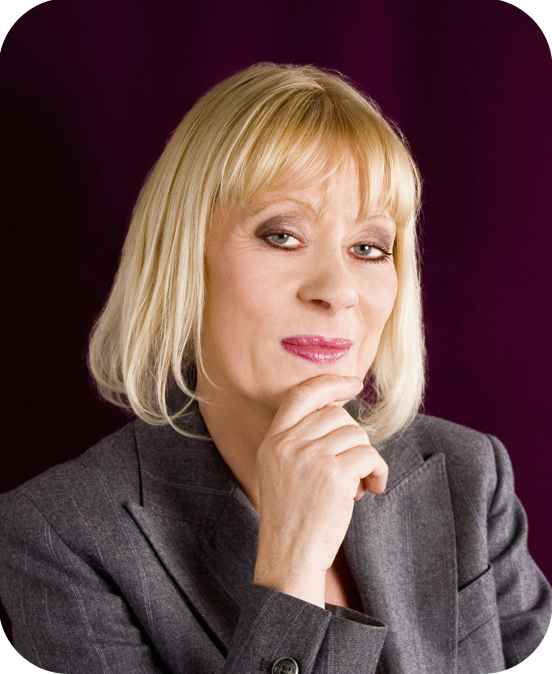 Anne Jirsch is a London born professional psychic with a large worldwide following. Her client base includes heads of industry, politicians and celebrities from the world of film, music and sport. She is an internationally best-selling author of four books ‘Instant Intuition,’ ‘The Future is Yours,’ ‘Cosmic Energy’ and ‘Create Your Perfect Future.’ Here she talks about a major technique for helping clients which she has pioneered herself, called Future Life Progression. What is Future Life Progression (“FLP”)? FLP is the flip side of regression: instead of going into the past we look ahead into the future. How did you first develop the idea of FLP? Well I’d worked with past life regression for many years then one day I was working with a couple of soldiers we were trying to see something that had happened in the past. All three of us somehow glimpsed the future. We saw the attack on the twin towers three weeks before it happened. At the time we thought it was nonsense but when it happened we were shell shocked. We then began experimenting. For three years we looked and predicted world events with incredible accuracy. We also experimented by looking at our own futures. Then I began to take my clients forward. The results were incredibly accurate, time and again people would see their future partner, or where they would be working or living then it would happen. Imagine a client comes to you interested in FLP. What sort of thing could they expect in a session with you? We would discuss what they want and need to know about so that we could tailor make a session for them. We then take the person into a gentle relaxed state and use various techniques to take them forward in time. Sometimes we take people forward to see where they will be in five or ten years time, sometimes we look at various futures in order to find their very best option, other times we take them into their next lifetime to discover who they will be and what their role will be. What is your favourite FLP success story? Oh boy I have so many! One of my favourites is a young lady who could not find love. In her future she saw herself married with two gorgeous kiddies. She met the man a short time later. This is the key: once we see it, it tends to happen much sooner. We seem to be able to bring the future into our current consciousness making it all happen much sooner. For what sort of problems does FLP provide solutions? Conversely, is there anything for which FLP is not suitable? Very few people live up to their full potential – so we can take them to find their best outcome and how to make it happen. I love using FLP for careers: to find out what the “future-them” does and how they do it. It is really exciting for me to see how people grow after a session and among my practitioners their careers have fast tracked wonderfully. Seven are now authors; three have recently been on television. They are setting up businesses and are full of confidence. Another area that warms my heart is with people who have lost a loved one. When people pass away it all feels so final, one minute they are there the next they are gone. By taking people into a future lifetime they may well be reunited with their loved one. One lady was heartbroken after the loss of her husband who was her childhood sweetheart. By seeing they would be together again in another lifetime her depression lifted and she got on her current life. What is your opinion on Reincarnation? It makes sense to me, even as a child I would wonder why some people had it so hard and some easy. This was not encouraged in a C of E school in London but instinctively I felt there had to be more to it. I have now spent so many years looking into firstly past lives and now future lives that I am now convinced we live time and time again. How would you say FLP fits in with methods of divination, such as the Tarot? 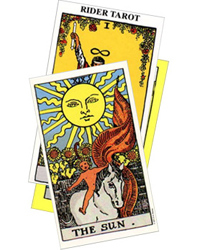 I love tarot I have used cards for over 40 years but FLP is something different. Firstly the client views the future themselves rather than me telling them what will happen. They can also ‘live’ it and really feel what it feels like to be where they will be in the future. But there is a place for everything; I am still very, very busy with tarot. There is something wonderful about sitting down and letting someone see what they can pick up for you. Sometimes we need an outside view that is detached from us. I once heard one astrologer tell me he believed the Universe was completely deterministic, with no such thing as free will. How would you answer that, in the light of your experience? I am sure some things are fated. There are people who come into our lives that we sense we have known before or that we have a special connection with them. But overall I am sure we also have free will. We have the chance to change things, to grow and improve things. We notice this most when we see members of a family, for instance sibling, one will work hard and improve their life. The other sibling may sit back accepting their lot in life believing this is how it is meant to be. If we do not have free will then surely we are simply like robots going through the motions. In Instant Intuition you mention that a large number of your clients are in the armed forces. Do you not think it odd that soldiers would want to come see a psychic like yourself? I do have a lot of armed forces and police men and women. They tend to live on their instincts; their sense of danger is far more advanced than most peoples. I often ask them, ‘have you just sensed something?’ They always say yes. Then tell me a story about how they woke up knowing something was going down that day or that danger was around the next corner. Their primitive instincts are heightened. How would one go about training to be a FLP practitioner? We have the best time during the FLP Training. It is actually easy for me to teach because FLP attracts amazing people. I have a three day training where we constantly work on each other. I give the practitioners all the tools they need in those three days and they go straight out and start using it. Finally: what would you recommend to my readers (e.g. books, web-links, etc) who want to find out more about the subject? And on my website I have a number of free downloads (LINK) where you can look at London in Ten Years Time or The Best Possible Future for the World. And I have FLP practitioners in 14 countries if you’d like to book a session.